Several of you have asked if I will do a craft night with these, unfortunately I will be spending a week in paradise, and won't have time to do one! :D BUT- I am cutting some shamrocks for someone else's craft night and would be more than willing to cut stuff out for you too, if you are brave enough to do them on your own. :) Just let me know in the next week if you want something and I will cut it. 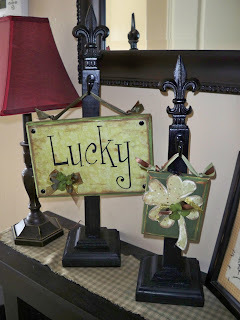 The "LUCK" letters were cut out with a scroll saw (can I just say I LOVE my scroll saw?!) I also cut the clovers out with it. 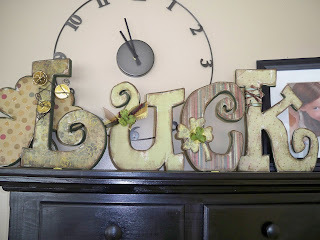 I painted the letters, then traced them on paper, then mod podged the paper on. 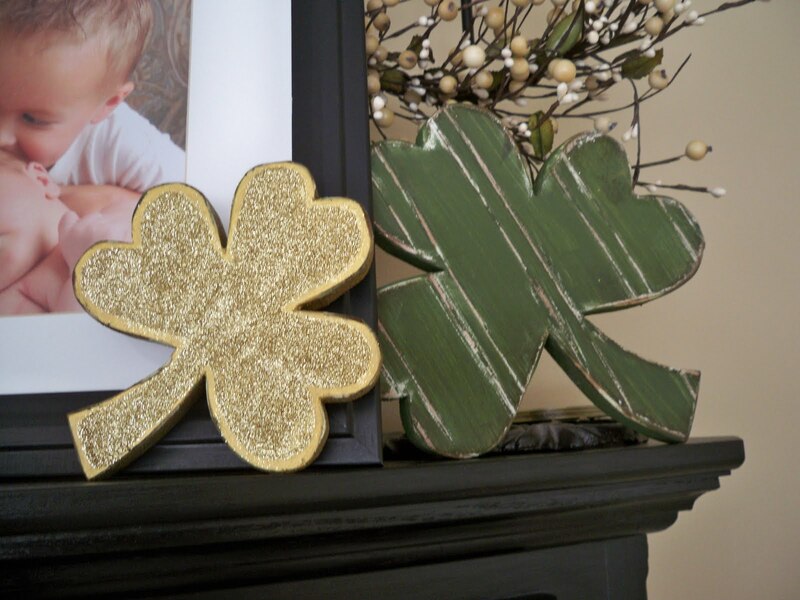 One of the clovers has bead board paper on it (available at Home Depot) and another is glittered. 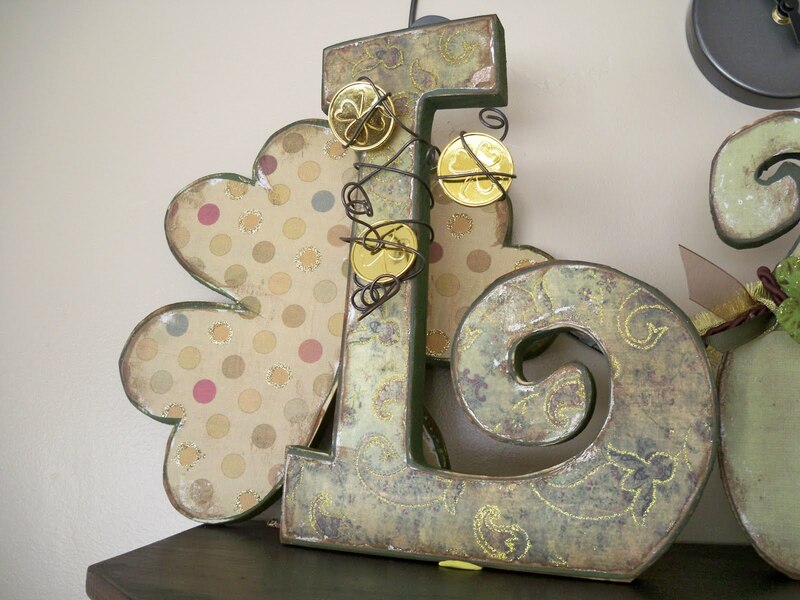 A closer view - I distressed the letters with sand paper and then inked the edges with a dark brown ink pad. 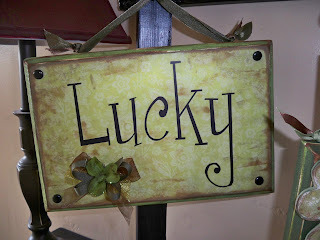 Then I printed the word "lucky" on green vellum, and used spray adhesive to attach it to a painted board. Such cute stuff! I LOVE it! I LOVE my scroll saw too! I am wondering though where do you get your letter shapes from? Do you free hand them or find them on the internet and print off? 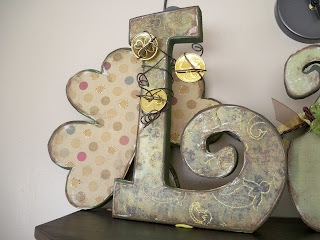 I love this style of letter but i am NOT artistic! Also what kind/size wood do you use for the letters and shamrocks you cut out? Thanks for any advise i am still fairly new at the scroll saw so i have not experimented with lots of wood yet. I love your St Patricks Day decorations! I am so envious of you, I still need to figure out what to put together for this holiday. You've truly inspired me! It's Brooke Stocking, Can I get the letters and shamrocks cut out and I'll do it on my own please? Let me know how much. Also one of these days I need to meet up with you so I can make a couple of stands like the ones you have with the lucky hanging on it, I need something like that for all these crafts of yours im in love with. Thanks. Hey Maria, I was wondering if I can still order. 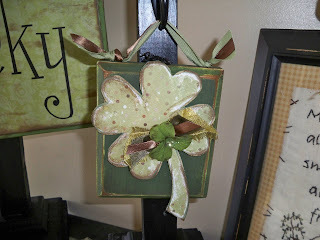 I would like 3 of the luck letters and 2 of the shamrocks. Maria, you have absolutely the cutest decorations! Can I just copy them all ;o) I can't wait for another craft night! Thanks again for all the info about the scroll saw! I just awarded you the Stylish Blogger award!! Stop on by to pick it up!! SO CUTE!!!! Why, oh why can't I live closer to you!?! 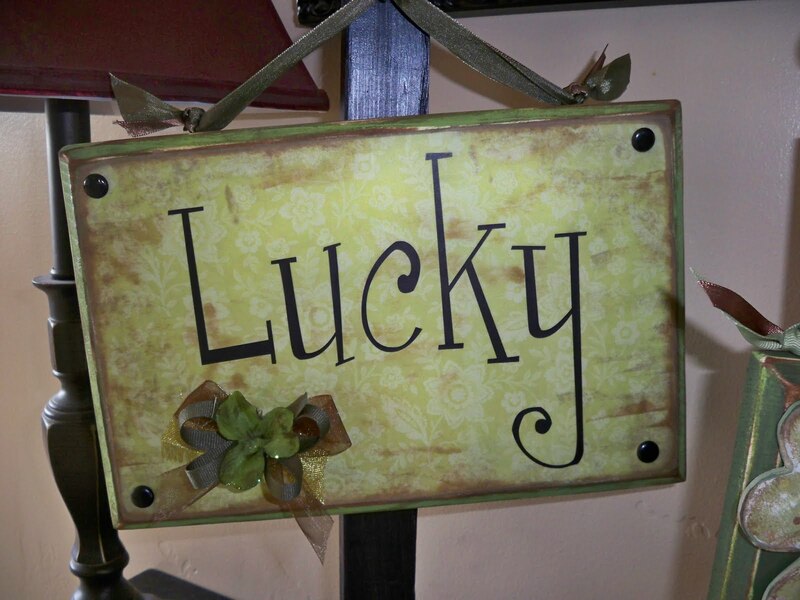 I love your luck letter. Do you know the name of the font you used. I would love to cut some out for myself. Hey! I just awarded you the Stylish Blogger Award on my blog! I love yr stuff! 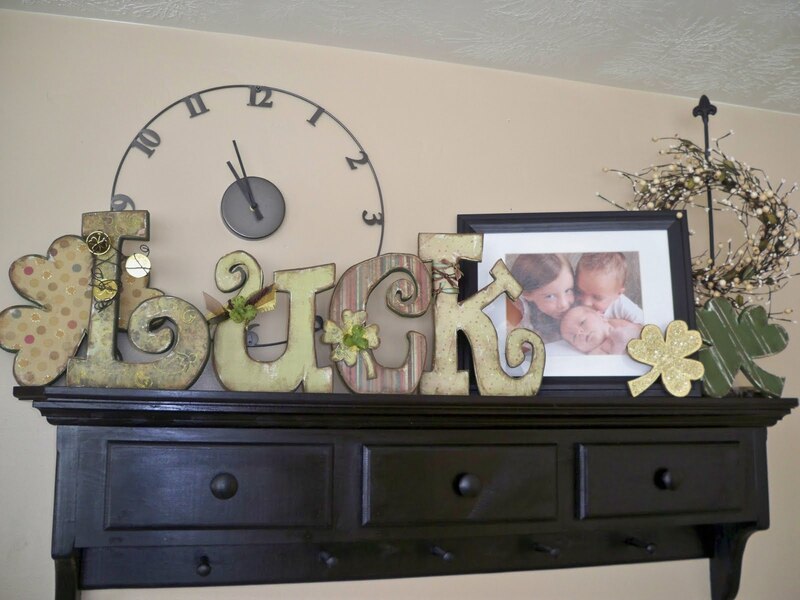 I love all of your projects but love the wooden letters! 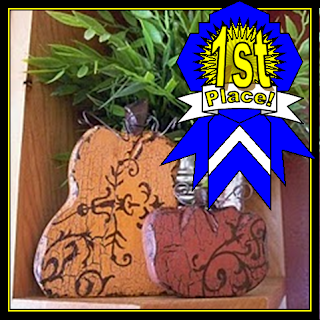 I was a fellow nominated blog over on Posh Craft Ideas and Vinyl Layouts--congrats to you! These are crazy cool. I love this ideas! Wonderful post. Thanks to share this beautiful post with amazing pictures.